If your Organisation does not follow the textbook approach when estimating project costs then dont worry. Most large Organisations have tried to make it as easy as possible for you as a project manager to ascertain costs. So the first stage is to create a project plan. 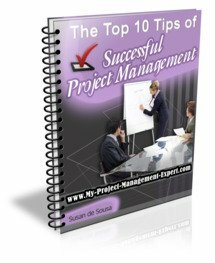 If you don't know how to do this then check out our project plan section. Once you've done this and ascertained the resources required you simply "check it" into the PMO's version plan manager and voila you'll find a total project budget cost has magically appeared. The way this works is that all the resources you've listed against tasks will have a cost associated. Now in most Organisations this will be fixed flat rate for both permanent and contract resources to prevent others from finding out just how much people are paid. However the Finance department will have the accurate figures and will be able to extrapolate a budget cost off the resourcing you have specified. However whilst it's almost impossible, it's not totally impossible by any means. As a rule of thumb resources such as HTML, Graphic Designer or Tester tend to be relatively cheap. Anyone with the word "Architect" in the title tends to be very expensive. Java / C++ programmers are similarly costed as are Team Leads. But the most extortionate is anyone with the word SAP in their title. I have yet to meet a SAP contract resource who wasn't charging 4 figures a day! So from this you can make an educated guess who and what tasks are causing your budget to increase. To check out your suspicions change the duration of some of the relevant tasks and see the impact on your budget. Sneaky I know but very effective! Of course there are Organisations who simply don't care and publish all their contractor rates, which is totally bizarre if it wasn't for the fact that they tend to be the one's who are happily paying up to 50% more than the current market rate! Now once you have a project cost you can determine how far away it is from what Finance or the Project Sponsors want to pay. You can then start slashing costs.